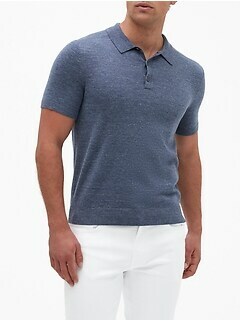 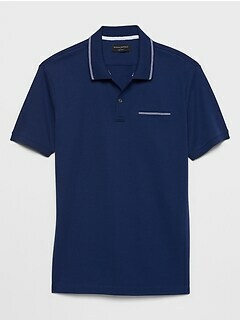 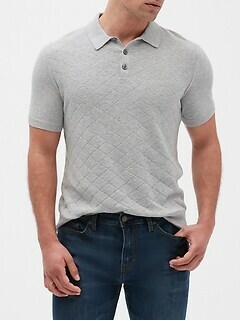 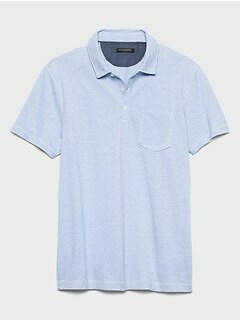 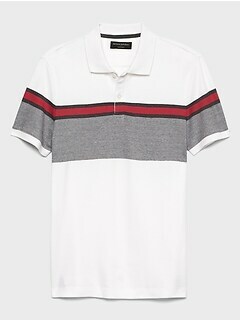 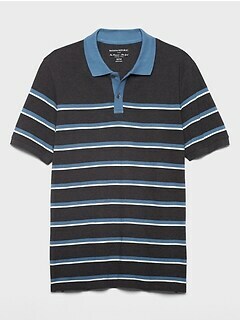 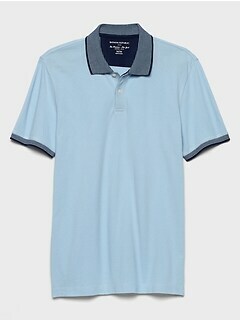 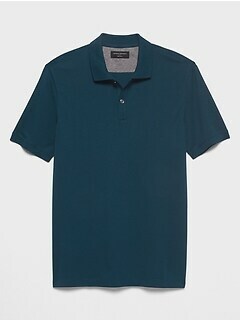 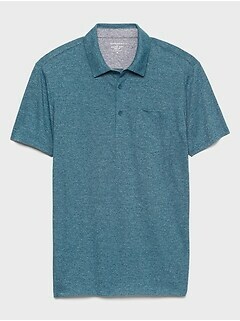 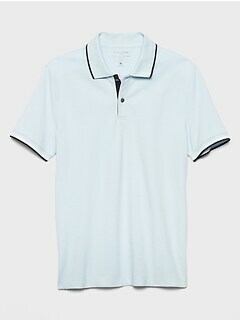 Choose Banana Republic Factory for affordable and personable polo shirts for men. 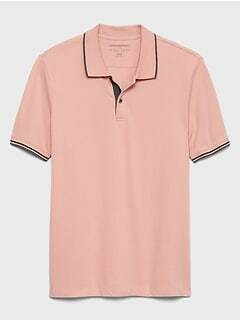 Men's polo shirts have been a menswear staple for generations. 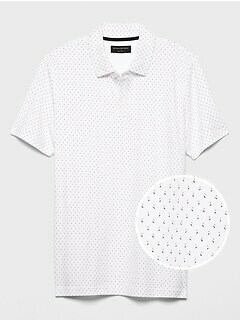 Perfect for casual and dressy outfits alike, they're an effortless way to be fashionable and subtly cool no matter what your personal style. 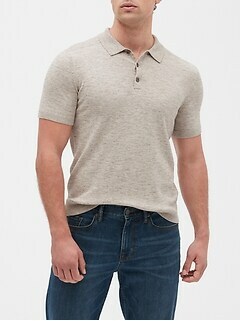 Whether you're attending a business lunch, hitting the golf course or spending the evening out with your family, a Banana Republic Factory polo is a excellent choice. 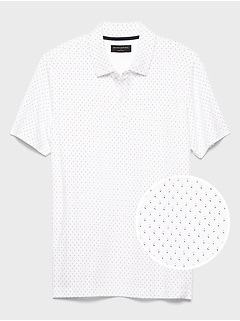 Shop our collection for varying fits and designs to suit your needs. 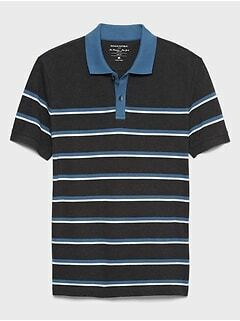 Enjoy bold patterns like stripes and graphics and classic colors such as blue, white and black, all with that traditional collar and short sleeve cut. 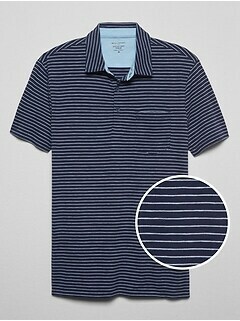 Choose a fantastic option from our quality selection. 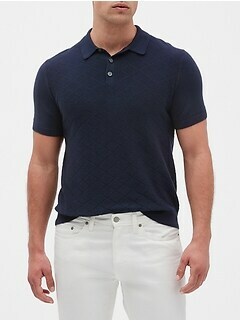 No one has anything quite like the selection as Banana Republic Factory. 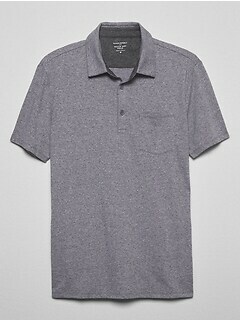 Our men's polos are set apart by expert design, careful construction and amazing pricing. 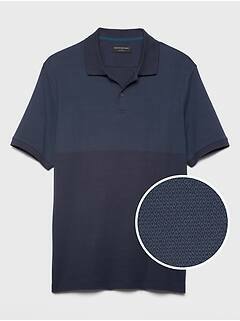 Cotton and cotton blend fabrics are always soft and comfortable, yet strong and tough in the face of daily wear season after season. 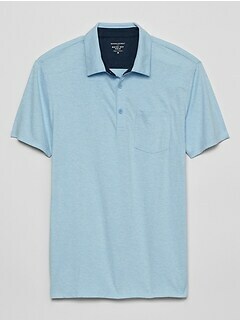 Button placket designs are a plus with customizable openings and fits. 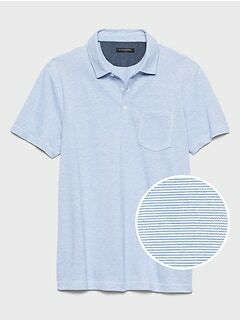 Machine wash them for quick and easy care. 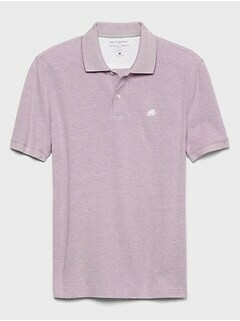 Looking for a pop of color for your closet? 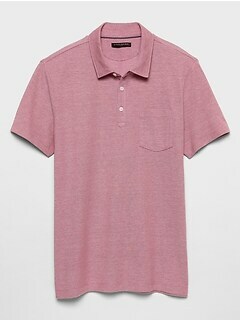 Explore colors like green, pink, salmon, magenta, yellow and many more. 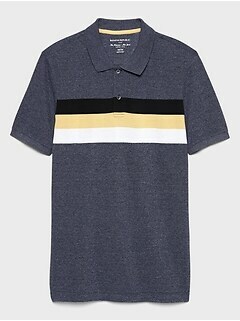 Stripes and logos add even more personality and flair. 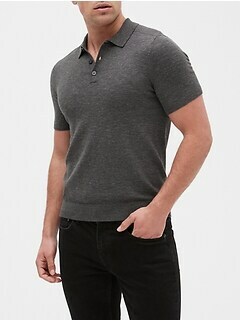 Polos for men are perfect for almost any occasion. 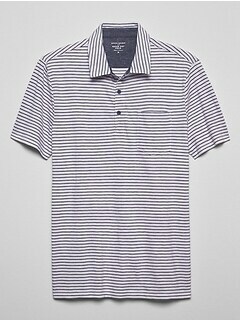 Enjoy one from Banana Republic Factory inside, outside, at night, during the day or practically any other situation. 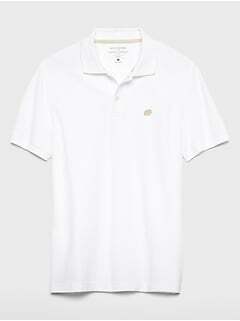 Pair one with shorts, khakis, jeans, trousers, chinos and more for easy fashion. 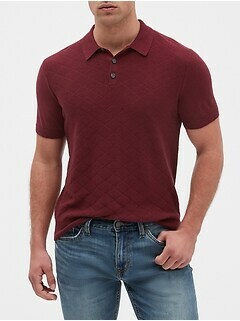 Layer a polo under a sweater, vest or blazer for chilly weather or for an added touch of polish. 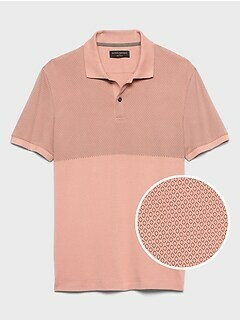 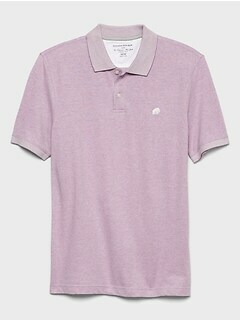 A baby pink polo is subtle and airy for a family brunch or barbecue. 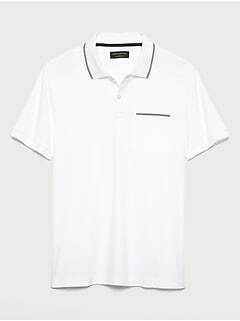 Mix and match different ones with sneakers, dress shoes and even sandals. 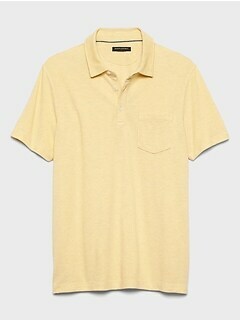 A sunny yellow polo and khaki shorts look great together on the beach, on a boat or by the pool. 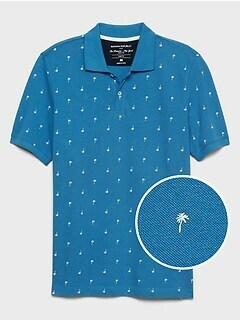 Choose a Banana Republic Factory men's polo shirt from our subtle and unique collection.